In the second of our articles on the control of legionella in social housing we take a look at the need for legionella risk assessments, water testing and why good landlord-tenant communication is essential. In the first part of this article, we explored the meaning of the word “landlord” in terms of rental accommodation in the social sector. In this second part we go on to explore the practical realities of managing rental properties looking specifically at the management of water systems and the control of legionella. Can landlords perform their own legionella risk assessments? Yes landlords can do their own legionella risk assessment, although many may choose to hire an expert such as Legionella Control International… and there are many good reasons for this. Competency in conducting the assessment is an important requirement, and it is often safer to ask an expert to step in than to assume you are competent… only for the UK’s safety regulator, the Health & Safety Executive, to disagree. Furthermore, the complexity of a water system will also determine whether a social landlord could conduct an in-depth risk assessment that covers everything required. Hence why many landlords feel safer hiring a qualified expert to handle the assessment of risks in their properties. How often is legionella testing required? In many situations, the risk assessment may deem the dangers from legionella and Legionnaires’ disease to be very low. In such cases, no water testing would be needed. However, in other scenarios, legionella testing can perform a vital role in helping to confirm that the water systems are safe and levels of bacteria in the system are under control. It can, of course, also highlight whether a problem may exist. Again, expert advice will determine whether legionella testing is necessary in a specific situation. 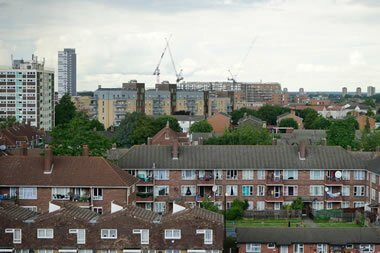 Is there a need to provide information and advice to tenants of social housing? Yes, it is always wise to inform tenants of the various controls that are in place to protect them from the dangers of exposure to Legionella bacteria. For example, if the temperature of the water system is set at a certain level to prevent the growth of Legionella bacteria, tenants should be made aware they should never change the temperature. The landlord should also notify all residents of the importance of regular flushing and cleaning of showers, if they are included within the rooms or the property. Regular flushing, cleaning, descaling and disinfection of all showerheads and other water outlets will help to ensure the risk levels are reduced, especially if the water outlets are used only occasionally or the tenant has been away for some time. A major issue with social housing property is that a water system could cover several private rooms or areas where the landlord does not have easy access. Again, this scenario has been handled by experts in the management of legionella in water systems. For social landlords facing more complex property situations, hiring an expert is often the best solution. This, coupled with good communication between landlords and tenants and a clear water management programme, can help to significantly reduce the risks from legionella and Legionnaires’ disease for social housing tenants. Our teams of legionella and water safety specialists support social housing landlords those responsible for the control of legionella in social housing, helping them to protect public health and meet their health and safety obligations in this area. We deliver professional water safety risk assessments for legionella and other waterborne pathogens, water testing, independent compliance auditing, City & Guilds training and other environmental risk management services that help keep people safe. In the second of our articles on the control of legionella in social housing we take a look at the need for risk assessments, legionella testing and good landlord-tenant communication.